The history of the Sri Lanka flag stretches back so far that it intersects with myth. 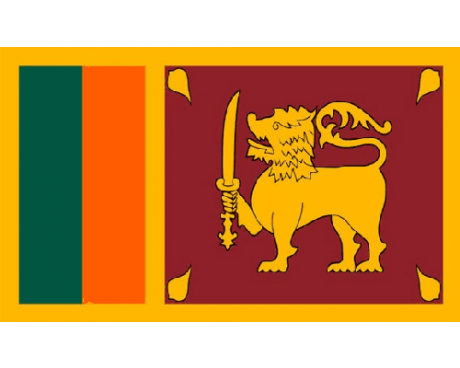 The oldest form of the Sri Lankan lion flag is said to be more than two thousand years old, and it has been on almost every Sri Lanka flag since that time. 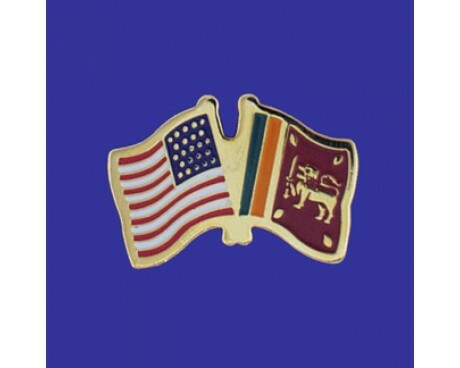 It is also a common to see the lion on a Sri Lanka province flag, which helps to prove its role as an ancient emblem of the Sri Lankan people that has spread across the entirety of the nation. The flag of Sri Lanka has an unusually complex design. It consists of two rectangular panels that are placed on a golden field, which represents the unity of the nation's people. The panel on the hoist-side is divided into two vertical stripes of green and orange, which the nation's Muslim and Tamil populations. The other panel is maroon, which represents the Sinhalese people. 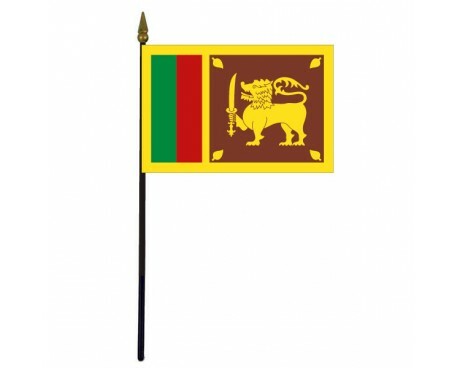 It also includes the Sri Lankan lion holding a sword, which stands the courage of the Sri Lankan people. One leaf is placed in each corner of the panel, and those leaves represent the four most important tenets of the Buddhist faith. 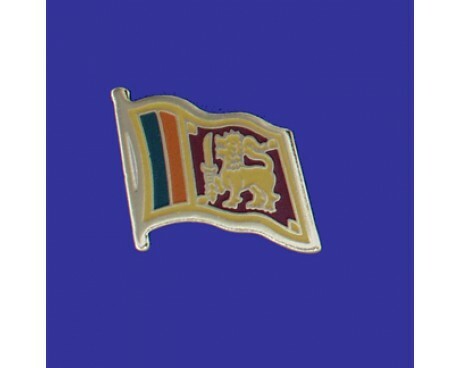 The lion of Sri Lanka is an ancient emblem that can be found on almost every Sri Lanka province flag or national flag. It is said to date back to 486 BC, when King Vijaya traveled to Sri Lanka from India and established the nation. Variants on Vijaya's banner represented the nation until 1815, when it became part of the British Empire. A colonial flag that consisted of a blue field with the Union Jack in the canton and the colony's seal in the fly came into use at that time and represented the country until 1948. The new flag of 1948 featured the a variant on the modern flag's maroon panel with a gold border, but it lacked the rest of the modern design. A precursor to the modern flag came into 1951. It used a different design for the four leaves, but it was otherwise the same as the current flag, which came into use in 1972 and has represented the nation ever since.